Web Site was Updated on April 8, 2018. SOLD OUT!!! 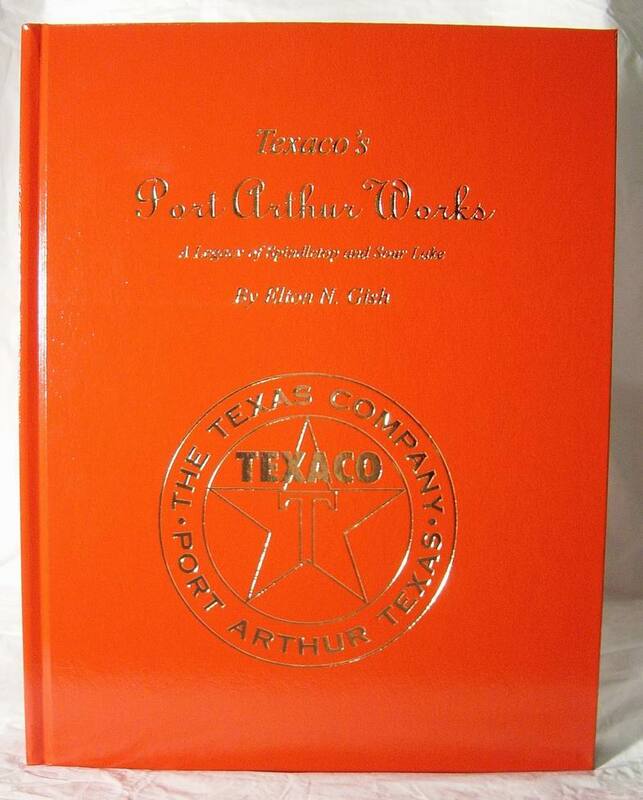 This new book details the 100 year history (1903 to 2003) of Texaco’s Port Arthur refinery, Port Arthur Terminal, and Port Neches refinery. It contains 408 pages with more than 1200 photographs that show every aspect of running a refinery. Many of the photos have not been seen in over 60 years! Would you believe there was a man-operated monorail as early as 1918? More than 25,000 negatives and original photographs were searched and only the best were selected for this incredible book. The Port Neches refinery is actually older than Port Arthur Works. This refinery on the Neches River was started by a Minnesota Senator and dates back to 1901. The Central Asphalt and Refining Co. built Port Neches Works before Spindletop's Lucas Gusher was a year old. Did you know they drilled three oil wells in the refinery? Did you know the Central Asphalt and Refining Co. planned to build a public trolley system and that they named the city of Port Neches? Many thousands of wooden barrels were made at Port Neches Works for shipping asphalt and for PAW to fill and ship lube oil. Port Neches Works was the largest asphalt refinery in the world for many decades. The Port Arthur Terminal was the center of shipping for Port Arthur Works. 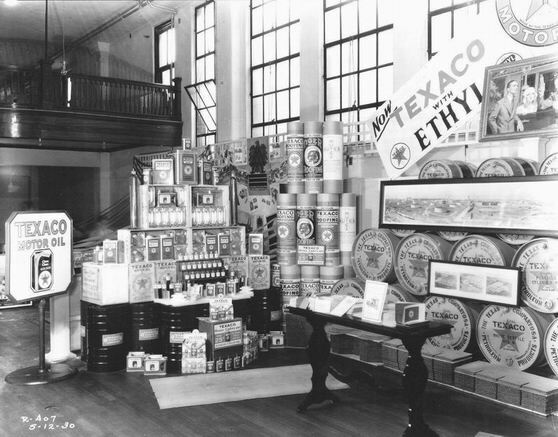 It also operated one of the largest canning plants in the country. 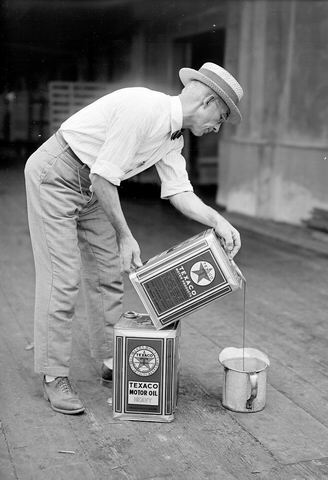 Wooden boxes were produced from southern Louisiana lumber to ship metal cans filled with petroleum products to nearly every continent in the world. 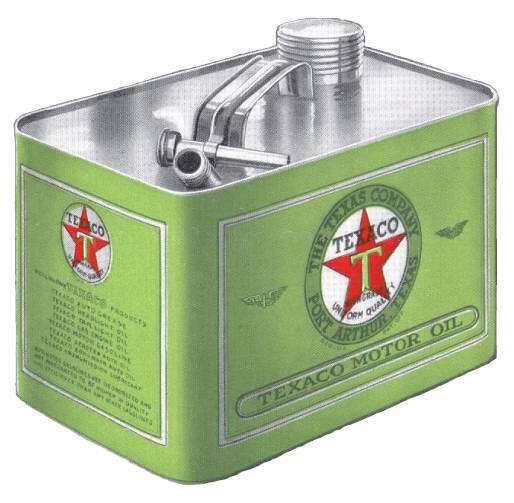 Collectors of Texaco oil cans will be amazed at the variety produced. 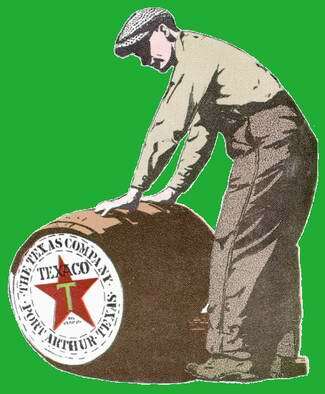 More than 100 photographs detail the progression of Texaco cans from the 1910’s to the 1960’s -- and all of the photographs are original. 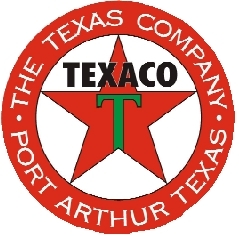 For a more detailed history of how Texaco got started in 1901 and of their first refinery at Port Arthur, TX, click on the photo at left. This very limited edition book was published in a beautiful red hardcover with gold leaf impression. The book size is 8-1/2" x 11" with 408 pages and more than 1200 photographs. Sorry, the book is currently out of print. Click on this link to view sampling of photos that can be found in the book.